Kyrgyz Department of Civil Aviation is responsible for August 24 air crash in the Bishkek airport, Kyrgyz deputy and owner of the Esen Air company, Begaly Nargozuyev, told Ferghana.ru. 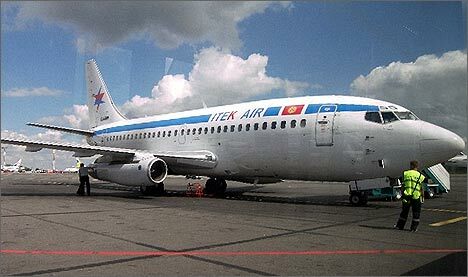 Itek Air Boeing 737 with 90 passengers on board crashed shortly after take off at the Manas International Airport in capital Bishkek, killing 68. Twenty two passengers survived, eighteen of them hospitalized, as a state representative Roza Daudova told the press. According to reports, the plane, which was headed to Iran, crashed as it was returning to the airport after technical problems had been detected 10 minutes after the take off. 24 of the passengers were Kyrgyz nationals, 52 Iranians, three Kazakhs, two Canadians, one Turkish national and one Chinese. Special investigation commission headed by Prime Minister Igor Chudinov has been set up to conduct investigation into deadly incident. Itek Air and all other Kyrgyz airline companies are banned from flying to the European Union due to low safety and aviation standards. Nargozuyev claims DCA ignored Kyrgyz airlines being in the EU blacklist, as well as concerns about poor safety standards on the Kyrgyz airplanes. “Officials from the Department of Civil Aviation should be accountable for deaths of innocent people,” parliamentarian told Ferghana.ru. “We have raised the question of poor safety standards in the Parliament, however all our decrees and resolutions were ignored by the Ministry of Transport and Department of Civil Aviation,” he added. Nargozuyev said that DCA was registering any company that wished to operate in Kyrgyzstan with little regard for standards and misinformed public about the state of affairs in the industry. “DCA has grown into a private business, anyone who paid money could get permission to fly,” he emphasized. Representatives of the Itek Air Company said terrorist act might have been behind the air crash. “We do not exclude possibility of a terrorist act. Our airplanes are in excellent condition and have been successfully flying to Russia and Osh,” the statement was quoted by the 24.kg agency as saying. The company suspects that many Iranian nationals who traveled on the airplane could have been target for terrorists. However, one of the employees of the technical service department at the Manas International Airport, who preferred to remain unidentified, told Ferghana.ru that the airplane was used for 30 years and should have been sent to scrap metal dump long time ago. “No one would say it openly, however despite officials’ and company’s statements, all Boeings 737-200 should have been dumped. Most of the Kyrgyz companies operate with used airplanes, which are banned in Europe and America. Only Russia still allows them into its airspace,” he said. Photos of the air crash posted in the Ferghana.ru Gallery .